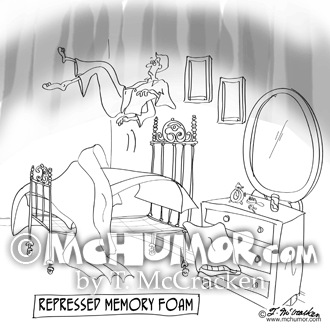 Psychology Cartoon 9301: "Repressed Memory Foam." 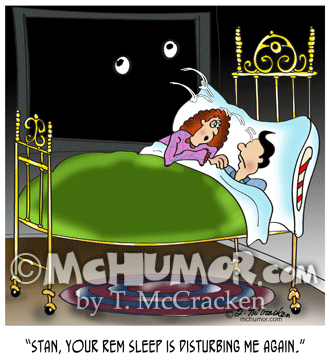 A sleeper is thrown from his bed to the ceiling. 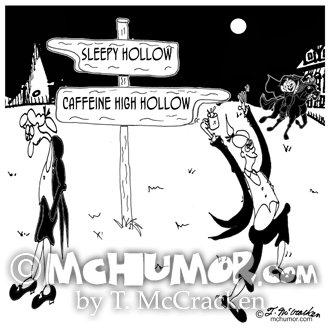 Caffeine Cartoon 7926: Next to “Sleepy Hollow” is “Caffeine High Hollow” where a man runs around with a coffee buzz. 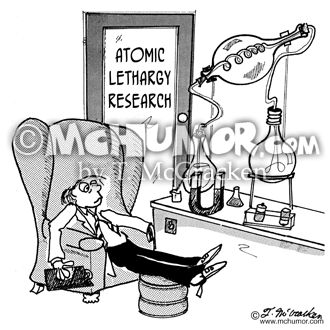 Physics Cartoon 1827: "Atomic Lethargy Research." 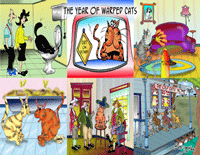 A scientist in a lab is practically asleep in a lounge chair. 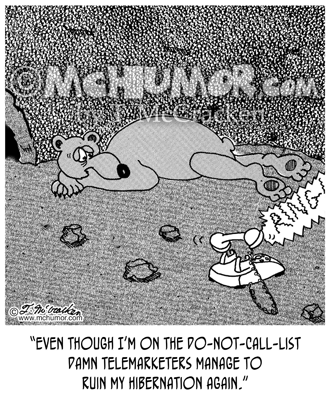 Bear Cartoon 5081: A sleepy bear looking at a ringing phone saying, "Even though I’m on the do-not-call-list telemarketers manage to ruin my hibernation again." 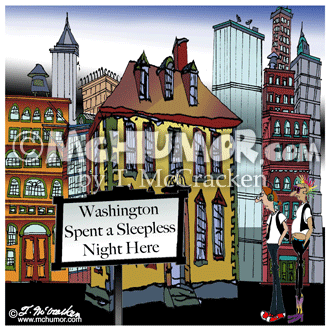 Hotel Cartoon 7568: A rickety hotel with a sign, "Washington Spent a Sleepless Night Here." 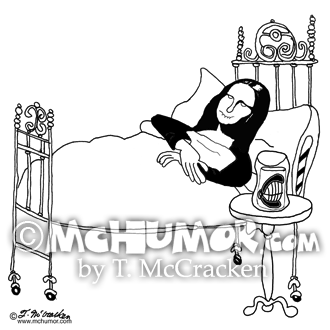 Denture Cartoon 8813: Mona Lisa sleeps with dentures in a glass next to her. 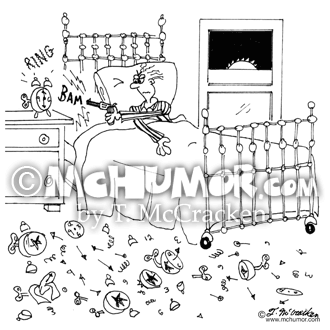 Clock Cartoon 7174: A man in bed shoots his ringing alarm clock and his floor is littered with clocks. 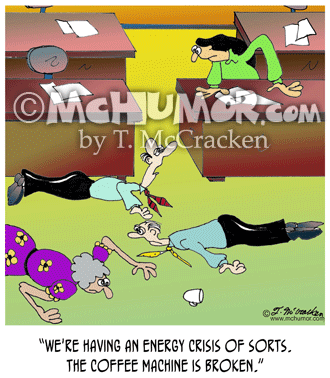 Coffee Cartoon 6974: Someone in an office where everyone is lying on the floor says, "We're having an energy crisis of sorts. 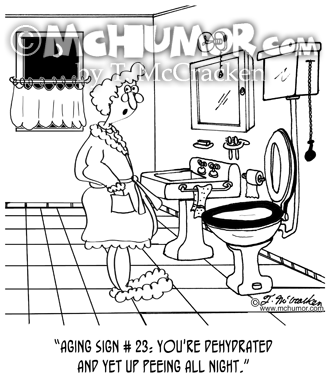 The coffee machine is broken."